December | 2010 | Run. Work. Live. Repeat. Beginnings and endings always leave me a little sentimental, and new year’s eve is no exception. For me 2010 was a year of saying good bye (just for now) to some running friends like my great partner Amy who moved overseas and hello to a whole new bunch of friends — the Distance Divas and Colorado Columbines. It was a year blessed with good health, family and friends, and a bit of fun travel here and there (San Diego. Phoenix, Santa Fe). In July I got published in Runner’s World online. 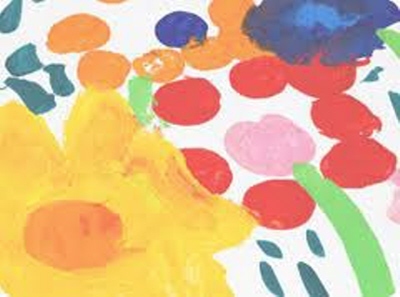 The following month I mustered the courage to start this blog. In the fall I completed my RRCA coaching certification. Throughout the year I ran many, many miles with the Distance Divas and elsewhere in Colorado, and I completed a marathon, three half marathons and my first 10K in a very long time. Just a few weeks ago I rediscovered some trails to run near my home, which have been like manna from heaven for this runner’s soul, and soles. Today I closed 2010 with a 4.5 treadmill run as it was in the single digits outside and I’ve logged 1,029 miles total on my quest from Denver to Boston. As I gather with my family this evening to pass on the baton from 2010 to 2011 I’m grateful for a strong body and mind, a full heart and a contented soul. 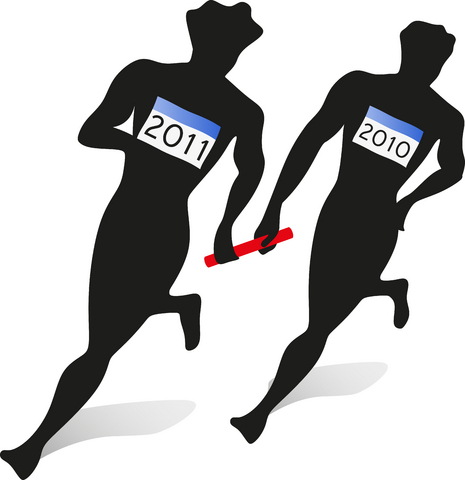 2011 is the year I finally get to run Boston. In a few short hours it will arrive to fuel my hopes and dreams for Beantown and beyond. I wish you all a happy, safe and prosperous 2011, and I invite you to continue this journey with me. I’ve got a few resolutions in store and more inspiring profiles coming in the next few weeks. Mileage today: 4.5; Denver to Boston miles logged 1029; Miles left to go: 741. Well, it finally snowed in Colorado, or “Cold-o-rado,” as I like to joke with the Dude, who breaks out a fleece the moment the temps crack below 70 degrees. It was our first blast of the year out here in the ‘burbs. The ski areas are experiencing a record year. Considering tomorrow is the last day of 2010 you won’t hear me complaining. The snow initially felt like a shock to my system. Just a few days ago I wore shorts to run outside. By the time I ventured out today at about mid-morning the flakes were coming down steady and it was brrrrrr — chilly. 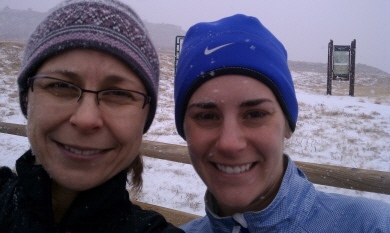 I met up with Katherine, a friend of mine from the Distance Divas, for a trail run and the snow pelted us no matter which direction we turned. I snapped a picture of the two of us on my new Droid phone to prove it. Me and Katherine — she’s the PYT — pretty young thing on the right. We had one of those crazy winter runs where if you weren’t meeting someone else out there to do it, you’d bag it. Or at least, I would if it weren’t for Katherine. It was hilly and slick at times and I definitely felt tired and winded from the track intervals I did indoors yesterday. But it was also fun, made much more enjoyable by the easy conversation and light-hearted jokes. At one intersection along the trail we came across a neighborhood that included horse properties. Katherine pointed out a poor, sweet little donkey along the side of the road that was trying to shield itself from the elements behind a shed. She cracked me up and I wished I brought the Droid with me just for that photo-op. Later on we came across some hearty hikers who high-fived us as we trudged past them, uphill, the snow still coming down. I love runs like the one we had today — the kind you remember later because of the fun banter and company, and because you got through the crazy circumstances. So to my friend Katherine, thanks for the run today. I know I would not have done that blustery one without your help. And to the heavens above for finally sending us some white fluffy stuff and much needed precipitation, a double thanks. I see this first snowfall as a good sign of things to come in the new year. 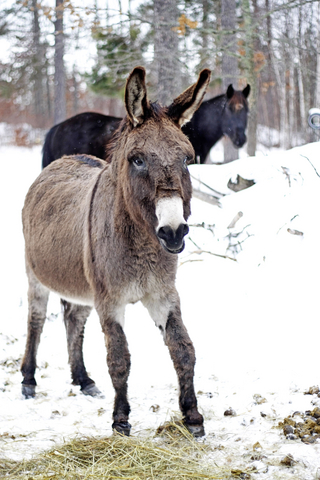 And I’m also thankful for donkeys in the snow, on and off the trails. Mileage today: 9; Denver to Boston miles logged: 1024.5; miles left to go: 745.5. The Boston Marathon — in the running world it’s a celebrated event that comes with much hoopla. First off, there are standards. Runners must meet a qualifying time based on gender and age on a USATF-certified marathon course before they can sign up. Then, there’s the race itself, which draws thousands of runners, from world-class, elite athletes, to the “every man” who’s achieved a BQ. Thousands of spectators line the streets from Hopkinton to Boston to cheer them all on like rock stars, and it is the oldest marathon race in the country. Those are the common notions about the Boston Marathon. When you grow up with “the marathon” as part of your hometown, like Joanne Goodwin, originally from Brookline, Mass., you get a whole different perspective on those 26.2 miles of coveted terrain. Goodwin’s view also reflects how the Boston Marathon itself has matured over time. It began as a local foot race held on Patriots’ Day (now the third Monday of April) in New England more than a century ago. The Boston Marathon’s popularity and fame exploded over the last few decades, reflecting the larger running boom that started in the 1980s and the incarnations since then. Although the route hasn’t changed too much in its 115-year history, other aspects have such as women being allowed officially into the race (1972), the current qualifying time standards and the race’s field size (about 25,000). Goodwin has lived in Washington, D.C., for the last 15 years and works for the city’s department of environment. When she was a Brookline native she often watched the race each year at about mile 20 (where the course passes through the town of Newton), near the infamous Heartbreak Hill. The course also goes through Brookline at about mile 23. Goodwin is a competitive rower. 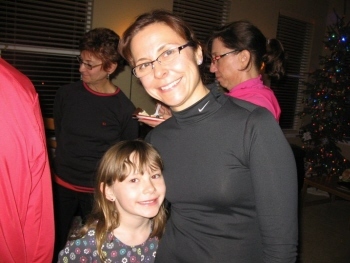 She participated in track in high school, but otherwise only ran for fitness until about 10 years ago when she found a local running group near her home and made many friends. That’s how Goodwin got started in training for longer races and eventually a marathon. Before 2003 she had never run longer than 10 miles. Goodwin said she remembered feeling beat up just doing that much, but with the group’s help on the longer run she kept going. The first marathon she was supposed to do got canceled. Since she was already well trained Goodwin signed up for another race, the Jersey Shores Marathon, which was six weeks later. Then she did something may people hope for and dream of but even fewer achieve: She ran the Jersey Shores race, her first marathon, in 3:43 and qualified for Boston. Goodwin credits her strength to her years of rowing and weight lifting, which she still does regularly. She ran her first Boston Marathon in 2004. Since then Goodwin has qualified for Boston two more times, but in different age groups. In 2004, she was in the women’s 35-39 age group. 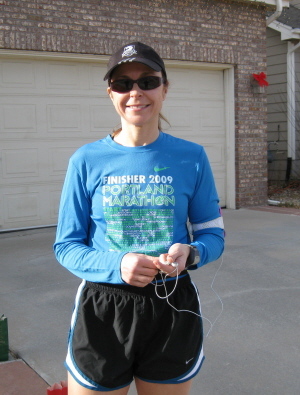 She ran Boston a second time in 2008 after she qualified in the women’s 40-44 age group. In 2011, Goodwin, age 45, will run Boston a third time after qualifying in the women’s 45-49 age group. 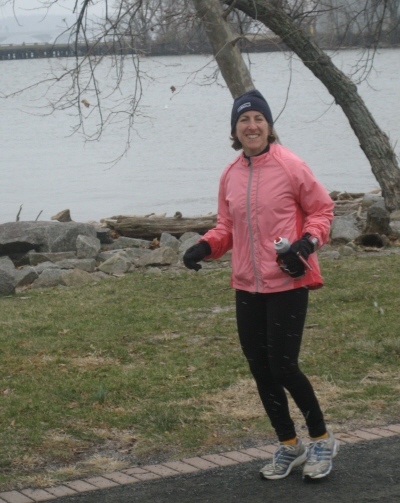 She’s run several marathons, including the Shamrock Marathon in Virginia Beach, New Orleans and Philadelphia. Goodwin said the most exciting part of qualifying for Boston for her has been coming home to run “the marathon” with her family and friends there to support her. Rowing is her first passion, she admitted, but running is also a part of her life. “There is something about that feeling of accomplishment and it’s such an energy release when I’ve had a bad day,” she said. Goodwin said she was always inspired by the runners she saw at the Boston Marathon. 1,000 miles down — Merry Christmas!! Today I crossed the 1,000-mile-mark on my log from Denver to Boston, and Santa brought me a healthy dose of endorphins on my 12-mile run. Tarzan and Jane gave me and the Dude their own Christmas gift. They let us sleep in until 7:45 a.m. Woo-hoo!! We enjoyed a yummy breakfast of cinnamon rolls, unwrapped gifts from Santa and lounged around. Tarzan scored enough trains to be the envy of the Atchison, Topeka and Santa Fe Railway. (Thomas the Tank Engine is his favorite.) Jane got a double bunk bed for her American Girl dolls. The Dude got outfitted in new casual duds. It’s strange not having snow here in the ‘burbs on Christmas Day while the mountains and ski resorts, about an hour and a half way, are getting dumped on, but I am enjoying the respite from snow and cold for the moment. It makes putting in the running miles easier. Tomorrow it will be 17 weeks until Boston. Right now I’m on track to make my goal of 1,770 miles by April 18, 2011. 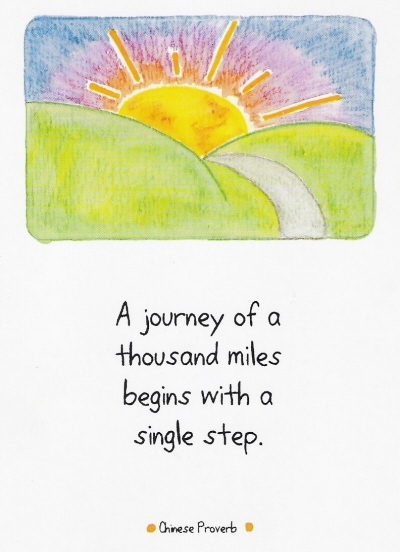 It is true — our dreams, journeys and miles all begin with a single step. About two years ago at this time I hadn’t run a marathon in almost a dozen years. I was contemplating the idea but had no idea of where it would take me. I ran A LOT this week to top the 1,000-mile mark. It goes to show — persistent pays. In another post I will talk more about goals for the new year. Right now I’m grateful to be healthy, injury free and moving ahead. Mileage today: 12; Denver to Boston miles logged: 1002.2; Miles left to go: 767.8. Wednesday I pulled a double — not with the eggnog fortunately but by running twice in one day. Yesterday I ran 12.5 with another friend from the Colorado Columbines . We traversed the dirt trails of the Bluffs Regional Park in Lone Tree and connected onto the Backcountry area of trails in Highlands Ranch near where I live. It was a lot of miles in less than 30 hours, in cool temps, made all that much better in the company of warm friends. I’m in the process of writing more profiles of Boston qualifiers. I hope to get them up as soon as I can. Given it’s the Christmas season and we are all so busy, it’s taken longer than I hoped. Santa is coming tonight and I need to get ready. In the next few days I will hit the 1,000 mile mark in my training — woo-hoo! Merry Christmas, and happy trails and holidays to all! Me and Jane at the Jolly Jog party! Today is a rest day. Denver to Boston miles logged: 990.2; Left left to go: 779.8. 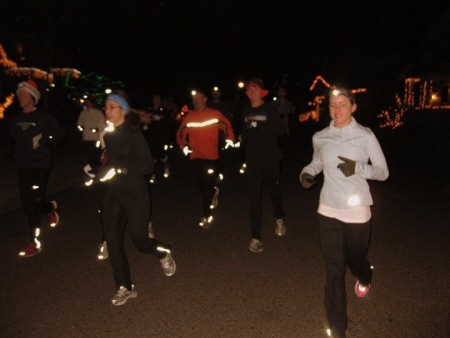 Each year the Quick Chicks (the lades I meet year-round for track workouts near my house) get together for Christmas. This year we did “The 12 Days of Christmas” track workout followed by breakfast at My Favorite Muffin. Skipping the straight-aways took more energy than I thought and I hope I’m not sore tomorrow. Also I haven’t turned a cartwheel in years. I surprised myself when I could do it at all. I love the spirit of our group and it was fun. If you are having trouble with your workouts this holiday season I encourage you to break it up the way we did. Only three days left until Christmas! I guess that means I have to repeat the stair sprints, plank and cartwheel tomorrow and the day after. Today (Dec. 19th) is the feast day of St. Nicholas (Sveti Nikola) according to the old church calendar and it’s my family’s Slava — patron saint’s day. 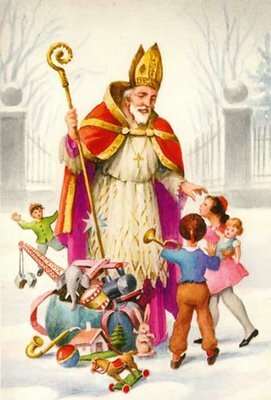 Saint Nicholas represents many things to many cultures. Before Coca-Cola manufactured and distributed the modern representation of jolly old “Saint Claus” with the red suit and beard, Saint Nicholas was revered as the patron of many, including sailors, merchants and children. He was known in his lifetime for secret giving, which might be where we got the modern connotation. In my parents’ culture Slava represents the day my Balkan ancestors were baptized into the Orthodox Christian faith centuries ago. It’s a sacred day, up there with Christmas itself and Easter. And it’s a good thing I already ran today (8.5 miles) and a 10K race yesterday (in 50:05 — woo-hoo!) because a true feast we will have. My mother makes a traditional round, cake-like bread for the occasion, which is blessed with wine (representing the body and blood of Christ) by our parish priest. My mother roasts red peppers from scratch, marinated in olive oil and garlic, and cooks garlic shrimp and pasta, and Eastern European delicacies. All day long we will welcome family and friends to join us in enjoying our feast. Before my father passed away more than 10 years ago we celebrated Slava at my parents’ home in Indiana and my mother also made vegetarian sarma (stuffed cabbage leaves). Now we do it as my sister’s house. It has a slightly different feel and menu but it’s still a wonderful day. And when I was a child all my relatives lived nearby. Now we are spread out across the country. That’s what makes this Slava special this year. My mother’s sister, my aunt Danica, for whom I was named, drove from Arkansas with her youngest granddaughter to be here today. So did my cousin and her family from Phoenix. As our family has “Americanized” over time it’s a rare treat to have so many of us together again. I plan to savor my things today. Among them: having all of us here to celebrate; the blessings of family and friends, near and far, in the last year; my health and my family’s well-being; running a solid race yesterday; and the ability to run at all. None of these things should be taken for granted. 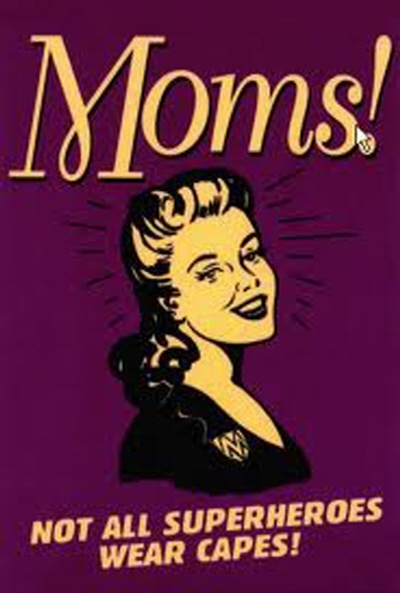 And of course, I’m grateful for my mom’s great cooking. Yum! Whether or not you celebrate a patron saint as we do, I hope your days ahead are filled with blessings, too . Mileage today: 8.5: Denver to Boston miles logged: 964.2; Miles left to go: 805.8.